How do I set the round cost for a Keeper? The commissioner must first set the Draft Order before keeper round costs can be set. After that, click on one of the squares in the owner's column and set the Keeper there. Once you set a Keeper to a square, they will appear with a "lock" icon and take up that draft slot. You can also choose not to set a keeper on a square and leave it at the bottom if you don't have round costs for keepers. 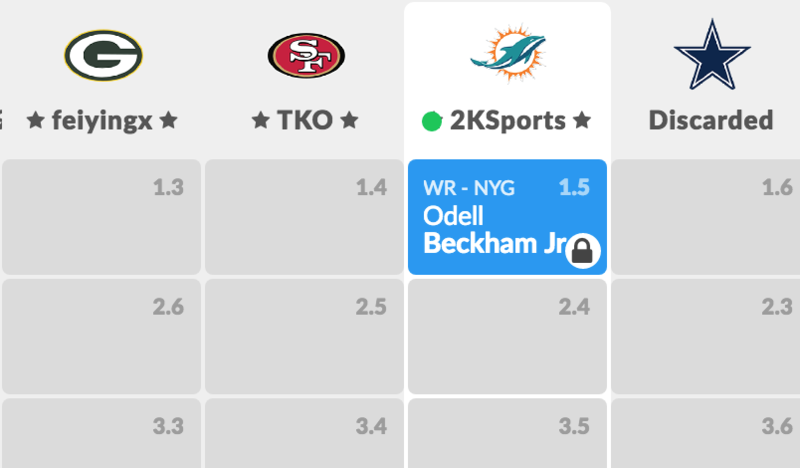 Here you can see Odell is at the bottom below the draftboard, but still in the column that belongs to the owner. 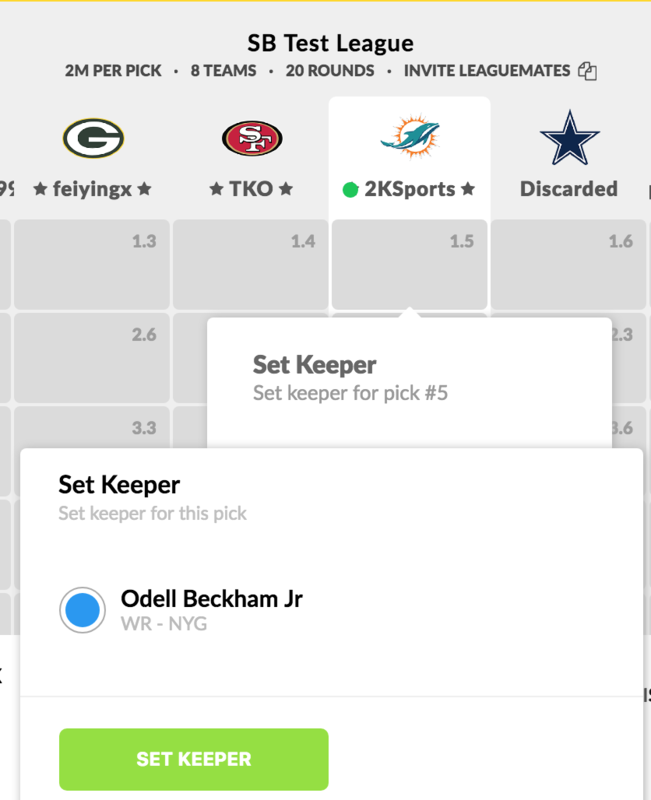 In this instance keeper will still end up on the owner's team, but they'll be forced to drop a player after the draft if they are over the roster limit before they can do any FA / Waiver moves.